PROXXON MICROMOT have been making precision tools for almost 30 years. Manufactured and assembled in Germany, They offer high quality fine power tools for model makers, instrument mechanics, form makers, tool makers, opticians, jewellers and more. I have been researching this Mill for some time and have been in discussions with Proxxon Australia in regards to this Mill. 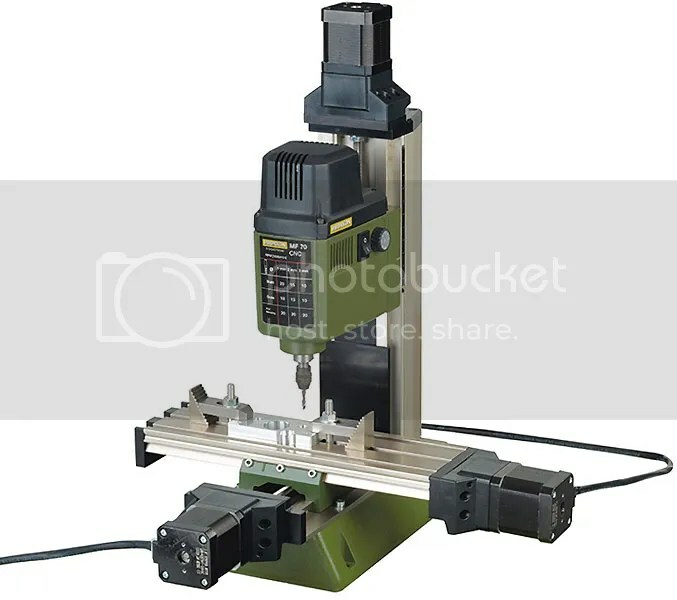 I am very interested in purchasing one to make custom components with intricate forms that only a CNC machine can achieve. This Mill requires further research as they are not cheap and you want to make sure it fits your requirements. The base unit pictured above retails for around AUD$1200 (not including software or control box) Compared to other leading brands such as Sherline which will cost around AUD$3000 – $4000 for a similar unit, their price is relatively low for such a specialised machine. In the meantime while I write the article on this machine I thought I would upload a YouTube video of this Micro Mill in action.